After 26 years, Wayne Willingham walked away from music, talented and successful, but disillusioned, bored, jaded, aimless. He changed careers, and achieved more than he ever thought possible. In late 2014, after nearly two decades away, he decided to pick up his guitar and try to knock off some of the rust. It worked. The rust is long gone, and in its place, he rediscovered his own distinct sound, the passion of his earliest career, and most of all, his creative muse. Wayne is writing his own songs and telling his own stories. Two albums so far, "Stayed in Love Too Long" released fall 2017, and the just-released "YOYO". Each carefully-crafted song is unique, deeply personal, and resonates with listeners. They're sincere, playful, serious, and some just make you feel good. Join us for the release of another beautiful Petit Verdot from Red Mountain. 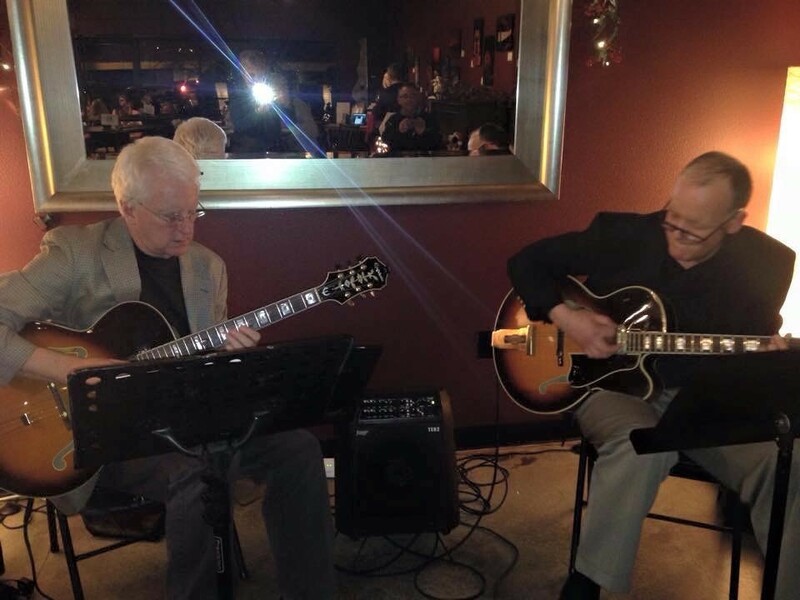 WATERFRONT is a jazz guitar duo (Jeff Gilles, Jack Dowdell) who play a variety of jazz and jazz-friendly styles. Jack and Jeff have been playing together since 1998. Though the duo is the core of Waterfront, they often bring in other local musicians when a larger sound is needed. Join us for a wine tasting to benefit life-changing canine partnerships! Summit Assistance Dogs trains highly-skilled assistance dogs for people living with mobility disabilities. Enjoy wine tasting and appetizers while meeting some furry heroes and learning about Summit's future training campus. Northwest Cellars will donate $25 of your $35 admission to Summit, as well as $5 for each Summit-labeled wine bottle sold. We love dogs as much as anyone, but please leave your dogs at home so as not to distract the assistance dogs working at the event. BUY YOUR TICKETS HERE. 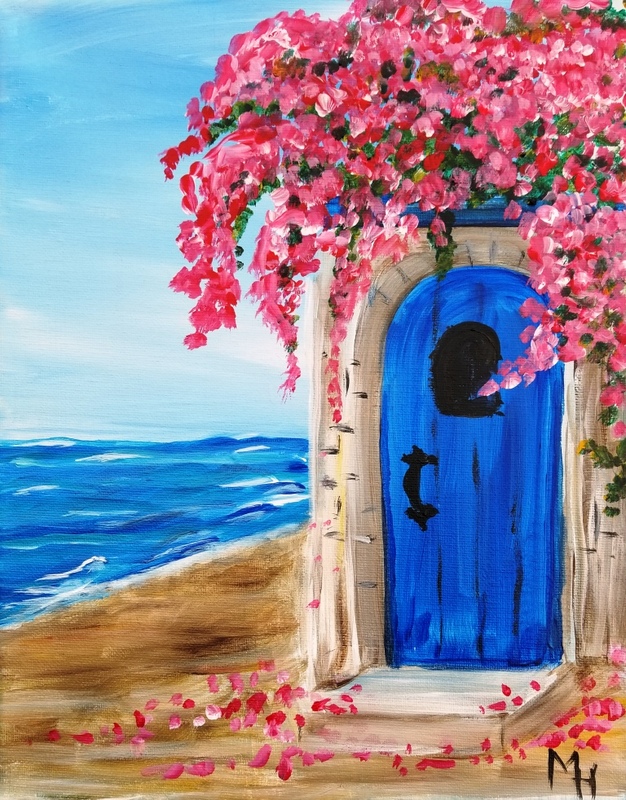 this fun event is at Revolve in Bothell. More info soon. Two Of Us Turn their love of song into a fun time for everyone! Two Of Us cover tunes from the Beatles to Stevie Nicks, Bob Dylan to Wilco. 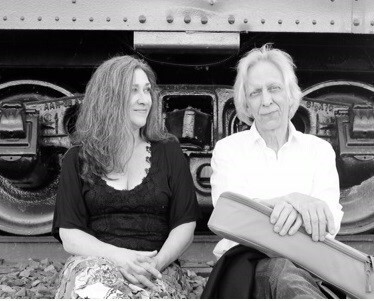 Julie and Marc's combined years of Rock n’ Roll, Blues, Pop and Soul Band experience, combine for a spirited, music-filled evening perfect for wine-sipping, chatting, and toe-tapping to your favorites! 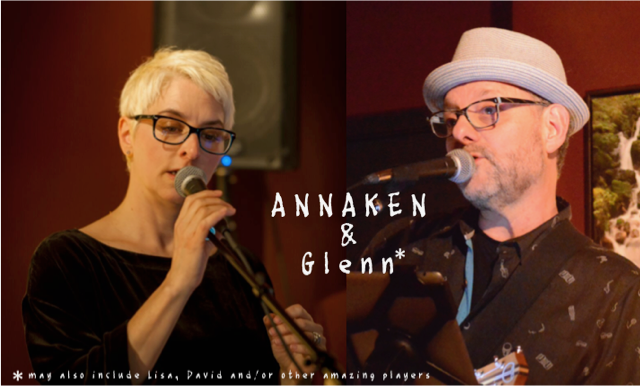 Join us for TGIF Happy Hour with the VERY POPULAR Anna and Ken Boynton ! . We will have specials on wines by the glass, and snacks. 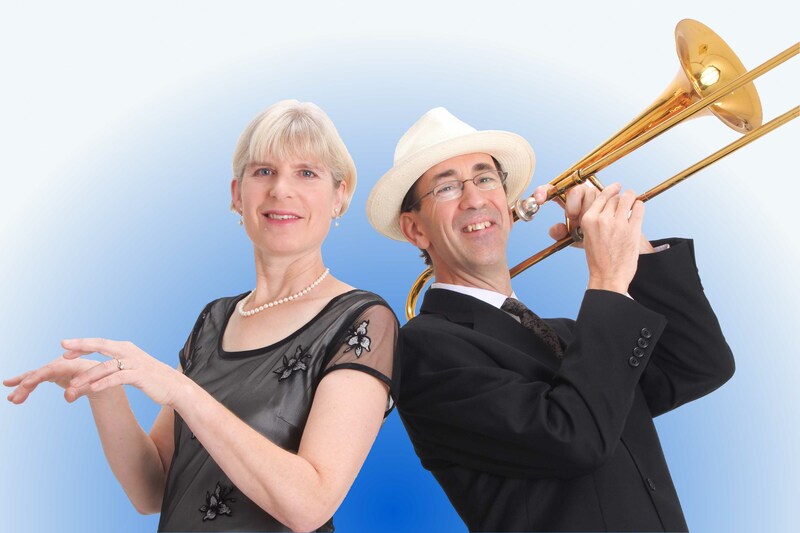 You’ll be tapping your toes when you hear this lively duo with its big, warm sound -- featuring Nelda Swiggett on piano/vocals and Clif Swiggett on trombone/percussion. Their repertoire includes classic standards from the Great American Songbook, lively Brazilian and Afro-Cuban rhythms, and funky hits by Stevie Wonder, Pharrell Williams and more. 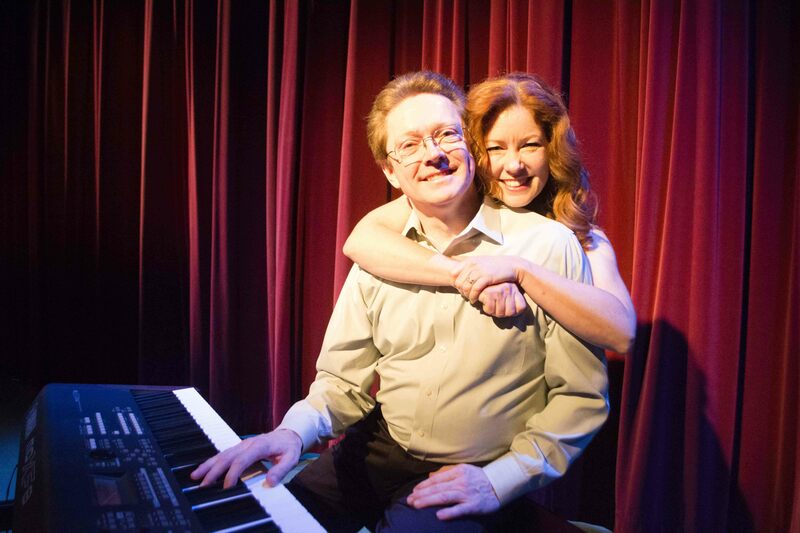 Clif and Nelda both have many years of professional experience performing on Seattle's thriving jazz and Latin scenes. Nelda Swiggett is also an award-winning composer and OA2 recording artist. Her four CDs of original music have received extensive airplay around the globe, including frequent plays on Seattle's popular KNKX 88.5 FM (formerly KPLU). Her band has been featured at the Earshot Jazz Festival, Bumbershoot, Dimitriou’s Jazz Alley, and other top Northwest jazz venues. “Swiggett has a unique touch…intensely appealing pianism…a voice with a depth similar to that of Abbey Lincoln…” (All About Jazz). Clif Swiggett grew up in New York playing jazz trombone as a teenager. He toured with the Glenn Miller Orchestra, played lead trombone in the McDonald’s Tri-State Jazz Ensemble backing up Dizzy Gillespie at the Newport and Kool Jazz Festivals, and performed live on the Merv Griffin Show. 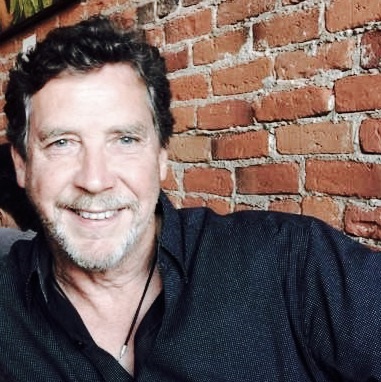 Since moving to Seattle, Clif has performed with Room To Move and Megabopolis (jazz), Cambalache and Caribbean Roots (salsa and Afro-Cuban), The Brian Waite Band (reggae, funk, rock), and most of Seattle’s top big bands. 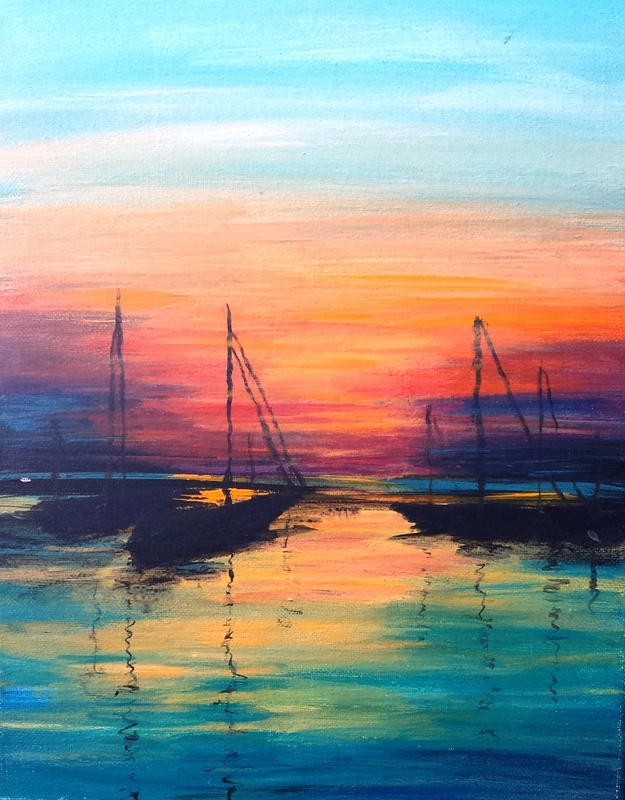 Happy Hour each Friday features local artists, $5 glass pours, no cover charge, and no-charge snacks. We are open 1-9, music is 5:30 to 8:30 . A fortuitous backstage meeting of musical talents brought Carissa Smit (vocals) and Jay Vilhauer (keyboards & vocals) together to create the popular duo Skid Rogues. Drawing from a deep well of traditional jazz, 80’s and 90’s smooth rock, and recent show tunes, Ms Smit’s sultry vocals are balanced with Vilhaur’s nimble keyboard work and intricate harmonies. From Billy Joel to Harold Arlen, from Sara Bareilles to Ella Fitzgerald, Skid Rogues delivers just what you need to recover from the daily hustle and bustle. 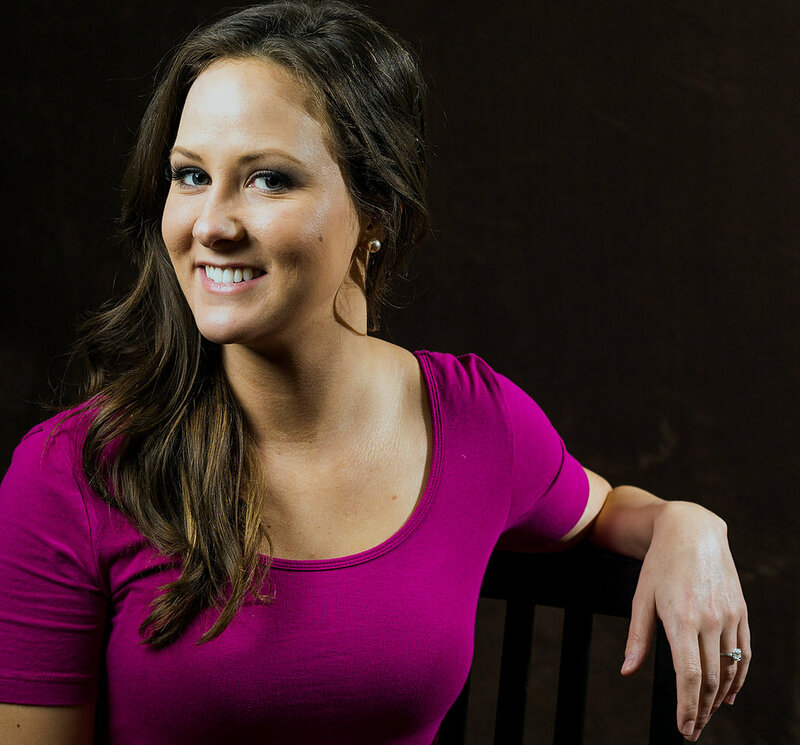 Katie is a classically trained vocalist, and has spent more than 8 years studying and performing in both the classical and jazz idiom; both as a solo artist and in ensembles. Katie has also acquired a significant amount of compositional experience devoted to the study, writing and arranging of both vocal and instrumental jazz. Because of her eclectic musical background, Katie draws her inspiration and vocal approach from a wide range of jazz, pop and classical, artists and techniques. Calling all Cellar Rats ! Our annual event is scheduled for Saturday June 8, from noon to 6pm. We'll have Library Wines for tasting, and for sale; great food, and music. 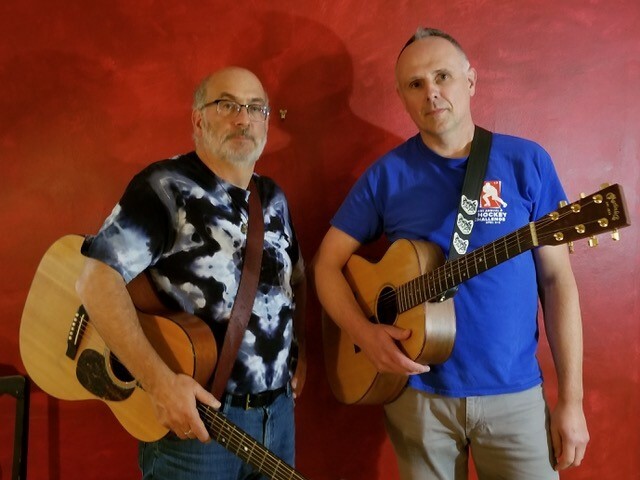 Mixing solo performances and duets, Mike and Steve will present an evening of moving and sometimes quirky original songs and tasty covers. Steve Polyak was born about 10 years too late to see the Beatles in concert, but got the 45 of I Wanna Hold Your Hand for his fifth birthday and was hooked. He dissected Beatles' music like the scientist he would become, learning the DNA of melody and mastering three part harmonies with his mom and sister, which he now continues with his daughters. Steve is still a sucker for power pop with clever melodies. His song writing leads with catchy vocal melodies and lyrical musings about being a guy, a father, a nerd, and a son. 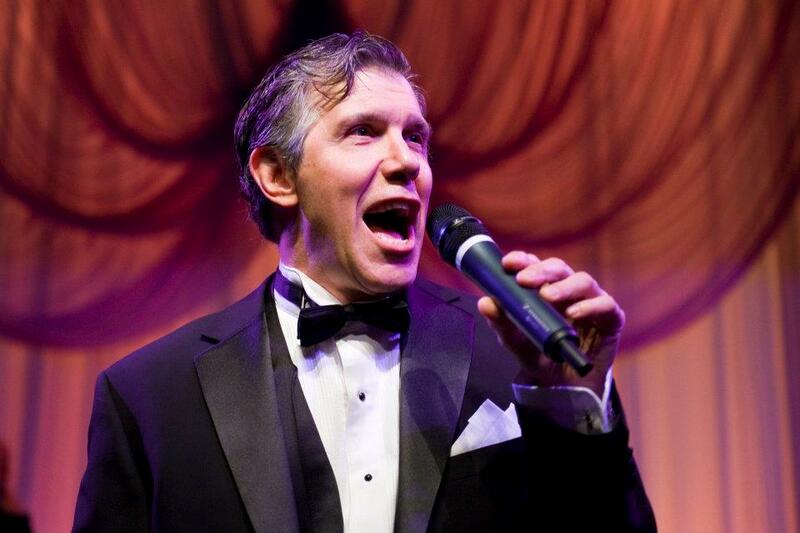 Mike Buchman’s grew up with the chugging rhythms and careening voices of Motown, Broadway’s whip-cracking wordplay and the morning sun shining like a red rubber ball through the three-inch speaker of a transistor radio. His songs don’t really sound like any of these, but the way he thinks about songwriting is influenced by them. His tunes explore life’s many journeys: birth, love, aging and death. He fingerpicks and strums, sings, hums, and occasionally howls like a dog. 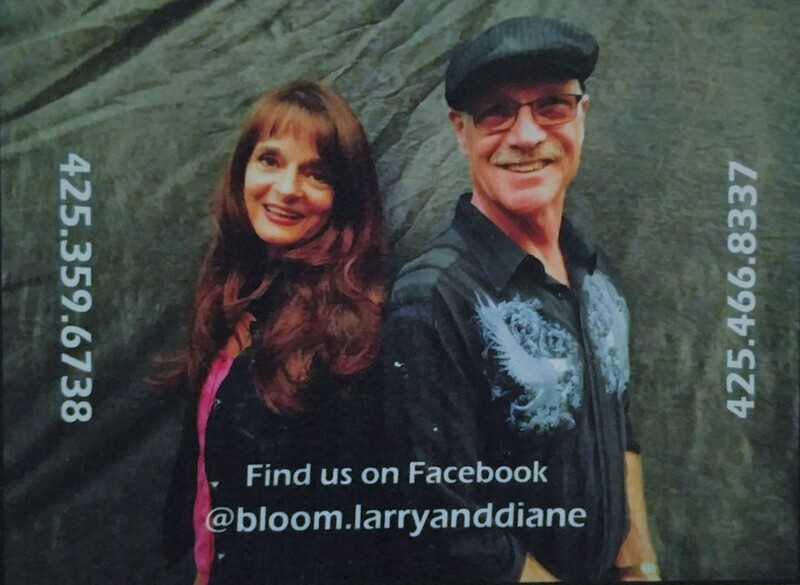 "Larry and Diane singing duets and hits from the 60's on up to today"
Happy Hour includes $5 glass pours, snacks, and live music ! Steven Padilla is a local folk / country recording artist and performer. His unique style of country fusion music includes folkrock, bluegrass, jazz, and blues. His new album, Whistling in the Dark, includes original songs performed in a rhythmic percussive guitar style.